It was once the case that only the truly wealthy could afford the luxury automobile. A top-of-the-range car with all the gadgets was more than just a means of transport: It was the ultimate status symbol. Technology has moved forward at such a pace that it is now common to have a vehicle with every gadget possible for $30,000. There do remain some vehicles that are the epitome of luxury, however. Although they may not have any more gadgets than the common vehicle, they do come with a reputation that ensures everyone knows the quality of the car. They’re the vehicles available only to those with significant financial backing. Here are 10 examples, old and new, of these ultimate automotives in cost and luxury. Rolls-Royce is one of the most famous of all luxury car brands. The Rolls-Royce Silver Ghost originates from the early part of the 20th century, being unveiled to the press in 1907. It originally became known for its reliability and had no trouble passing through the highest passes in India. This gave the car a cult following and meant hundreds were sold to the Maharajahs. The Bugatti Type 41 Royale (pictured above) was a giant of its time. The majority of cars from this period were large, but this one was more than 21 feet long and came with a 300-horsepower, 12-liter engine. Fuel economy was not an option. It came complete with a prancing elephant and space for the chauffeur to sit outside. One of these vehicles sold at auction in the 1980s for $16 million. Only six of these cars, the first delivered in 1932 to King Alonso of Spain, were made because the Great Depression hit sales hard. This car spawned the term “doozy.” It was created by the Duesenberg brothers in the late 1920s to compete directly with with Rolls Royce, Bentley, and Mercedes. The Duesenberg Model J Coupeis stunning to look at, with its sculpted curves and shiny chrome. It was designed to be the fastest and most expensive vehicle of its day. It was also incredibly smooth to drive. As with the majority of autos made in the early 20th century, this car was totally customizable. It was possible to order the chassis and then design the body to your own specifications. The Hispano-Suiza J12 was a true rival to Rolls Royce. Tinted windows meant privacy inside the vehicle while the chauffeur sat outside at the front. A V-12 pushrod engine ensured the car glided effortlessly wherever it needed to go. The Mercedes-Benz 770 Grosser was the largest and most luxurious car ever built (from 1930 to 1943) by Mercedes. The sheer size and comfort of it ensured that any person of stature wanted to be seen in one. 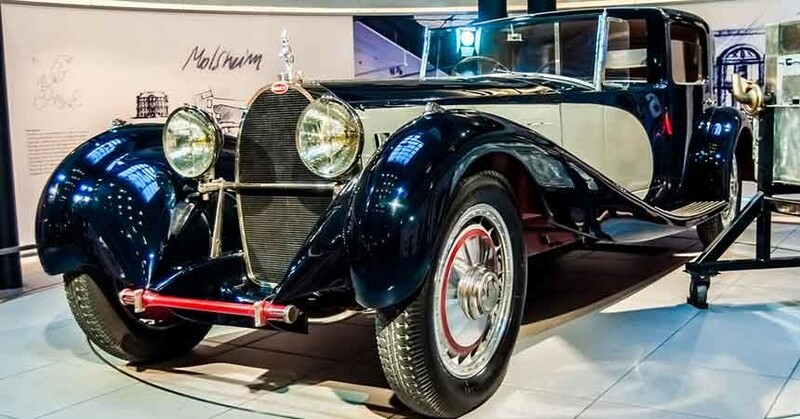 The most notorious owner of the 770 Grosser was Adolf Hitler, who had at least seven of these exclusive vehicles. The Bugatti Type 57 Atlantic, built from 1934 to 1940, was unique in its design approach. It oozed Italian style with sweeping curves and an aerodynamic bubble for the driver and passenger. There are thought to be only two left in existence. The interior is handcrafted. Carefully stitched leather mixed with lacquered wood provided a timeless style. The 600 line by Mercedes-Benz dominated the limousine scene in the 1960s. It was massive and imposing, and very expensive. Every possible piece of automotive equipment was included. The Mercedes-Benz 600 Pullman was aimed exclusively at the very rich, and found great popularity with that market. This car is strangely beautiful—appealing and ugly at the same time. It was popular with some of the biggest household names in the 1970s despite being described by some as a “rolling eyesore.” The Stutz Blackhawk III came equipped with shag carpeting, a real fur-lined trunk, and a gold clock in the steering wheel. It may have been a little ostentatious. but it certainly made a statement. Range Rover is often considered the manufacturer of the best 4×4 vehicles available. Overfinch is a company that specializes in taking the Range Rover and improving it. Its latest offering will set purchasers back more than $200,000. The car is actually fairly understated on the outside, looking very similar to a standard Range Rover. Inside is a spacious cabin with every comfort and modern gadget anyone could need. Featuring a 4.6-liter V-8 engine with two electric motors, the Porsche 918 Spyder is a monster car on the road. It is also one of the most expensive, with a U.S. base price of $845,000. Besides its hybrid gas-electric powertrain, this beauty is packed with revolutionary in-car features, including rear-wheel steering. It has the ability to go 19 miles solely on battery power. Now that’s what we call innovation in its purest form.